Premiere Classe is Fashion accessories exhibition, it will be held at the Tuileries gardens in France. 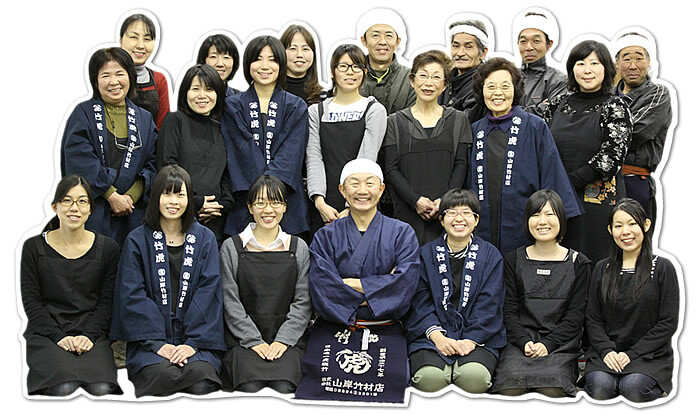 Premiere Classe is held for 4 days from March 2 (Thu) to March 5 (Sun) in 2017.Fortunately TAKETORA participates this for the first time! 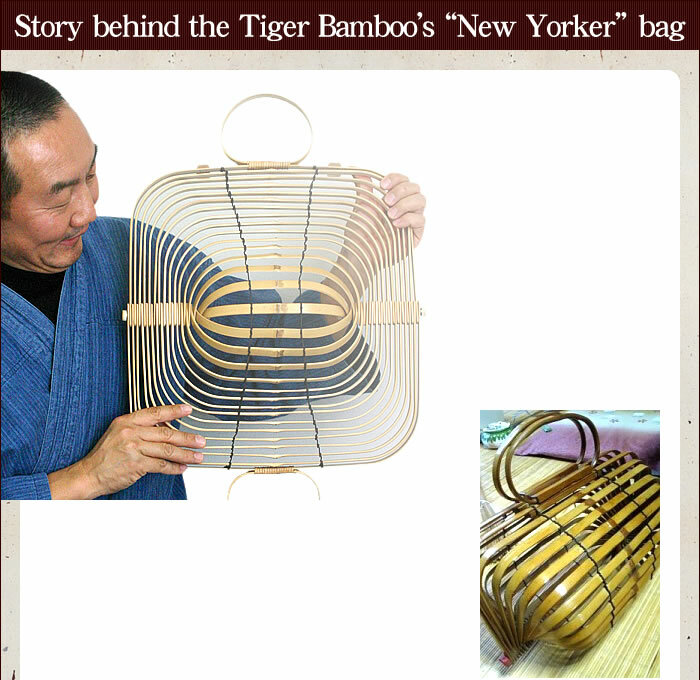 I'm looking forward to how the Tiger Bamboo's"New Yorker"bag will be evaluated in the world. 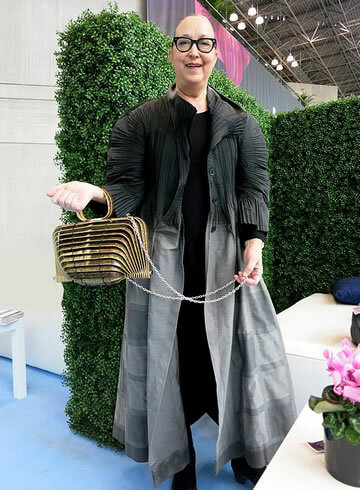 It is a very unique structure and bamboo bag in the shape. 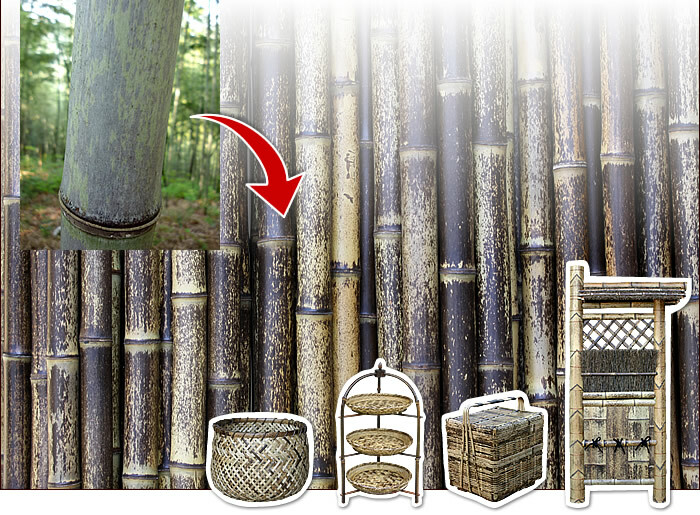 The bamboo is a tradition of Japan's fashion products that were added. 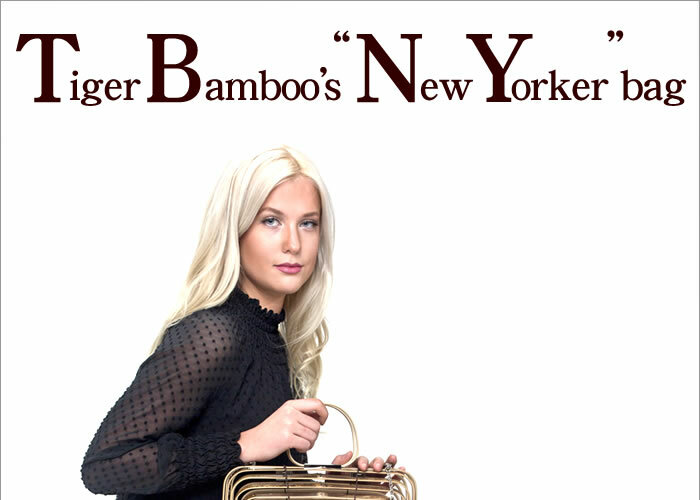 The one everybody of a New Yorker is holding in his hand is a bamboo bag of the name as the New Yorker. 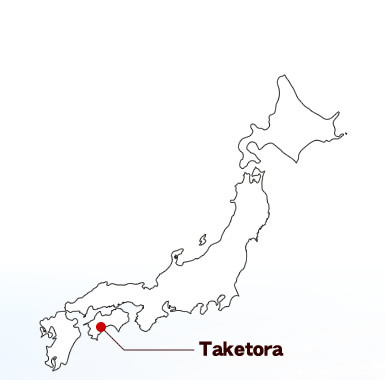 Click the picture to go to TAKETORA Instagram. Please do have a look! 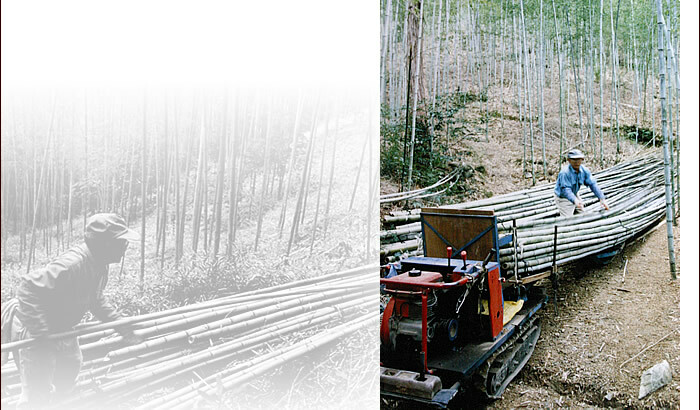 Forty to fifty years ago, Japanese bamboo products were actively exported to various countries, including far places, such as the United States and Europe. 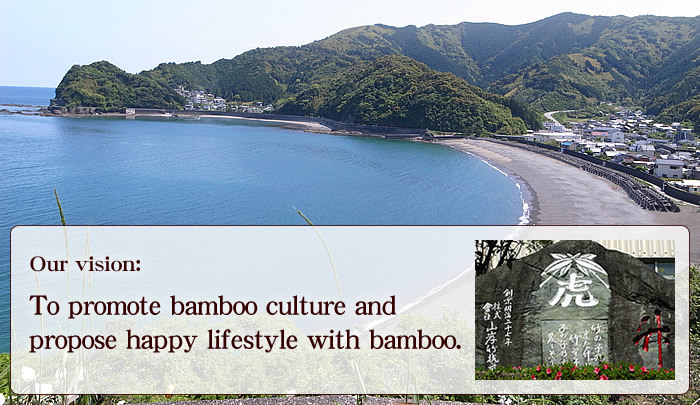 In fact, our company, Taketora, used to produce fishing rods made of Torafutake（Tiger Bamboo） and Kurotake (black bamboo) mainly for the US and European markets. This bamboo bag was one of those Japanese bamboo products that were shipped over the Pacific to the US. As a Japanese tourist was walking down a street in Manhattan, his eyes caught a New Yorker holding a very unique type of bamboo bag in her hand. 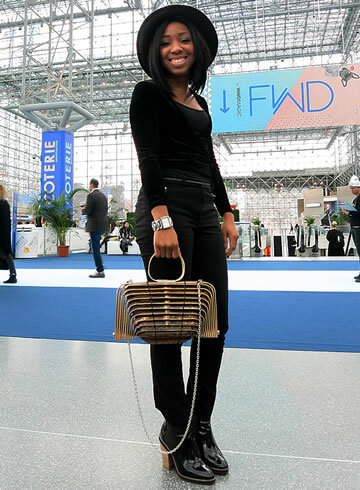 While New York is such a huge city where everyone is dressed in their own way, the beauty of the Japanese-style bag still shone through-and yes, it was one of the bamboo bags that were mass-produced in Japan and exported to the US a long time ago. 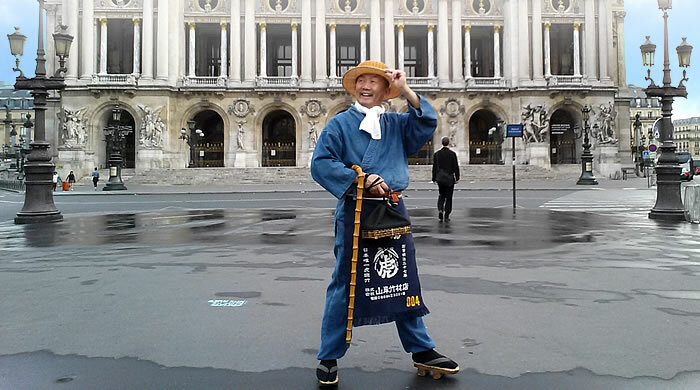 The Japanese tourist fell in love with the bag and asked the New Yorker to sell it to him on the spot so that he could bring it back to Japan. The bag that was brought back to Japan by a trick of fate after so many years in the US was then exhibited in the workshop of a bamboo craft artisan who had been connected with the Taketora family since the 2nd generation owner (the grandfather of the 4th generation Taketora), and this is how the 4th generation Taketora met the bag. 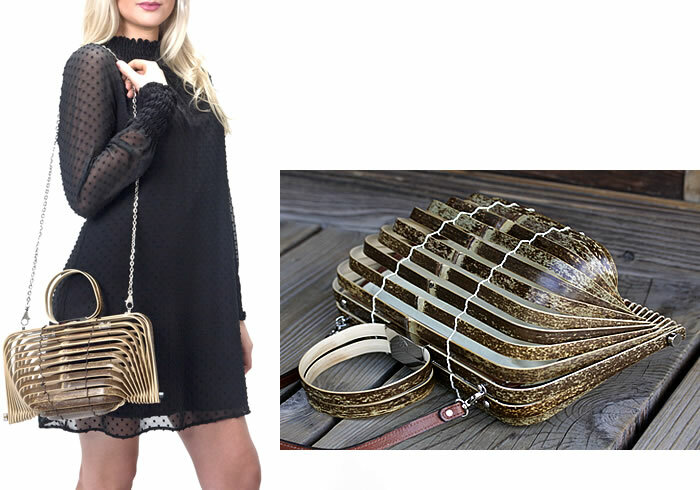 The beauty of the bamboo bag that traveled all the way back from the US lied in the structure -the unique and unconventional shape of the bag was formed by the way the bamboo sticks were woven. 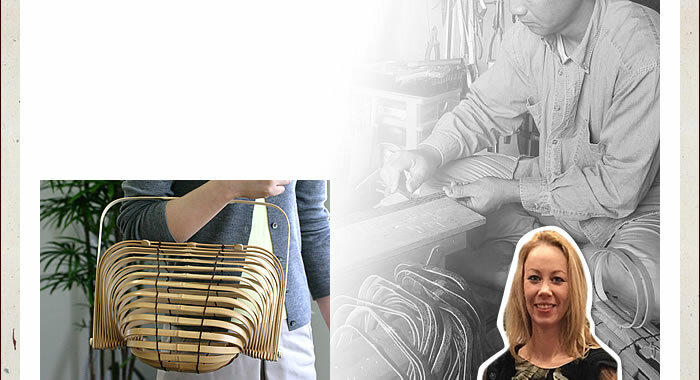 Although it took us a while to trace the creator of the vintage bag, as it was made such a long time ago, we somehow managed to trace it back to late Mr.Shouchikudo Kosuge, a bamboo craft artisan who made a contribution to promote Japanese bamboo craft and left a number of masterpieces. 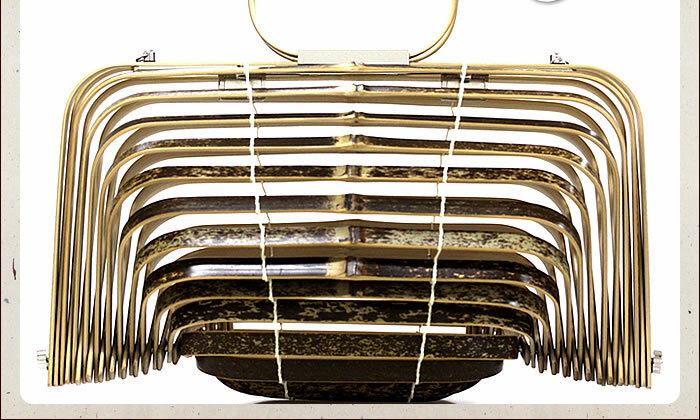 Tiger Bamboo's "New Yorker" bag was developed based on the vintage bamboo bag that came back from the US and made with Tiger Bamboo, a type of bamboo that is unique to Japan. Also, with help from a bag designer, Ms. Kazuyo Nakano and many skilled craftsmen, we adjusted some elements of the original design, such as the size and the shape, to give "New Yorker" a modern feel. Nature of the tiger pattern on the bamboo can be seen. Tiger bamboo is in addition to is not a feature of the only. It is an interesting design from anywhere. Easy to open because it has a magnet. The logo of TAKETORA are engraved on handles. It is a proof of Made in Japan! What a wonderfully designed bag. A very beautiful model. The fasteners were made of metal. 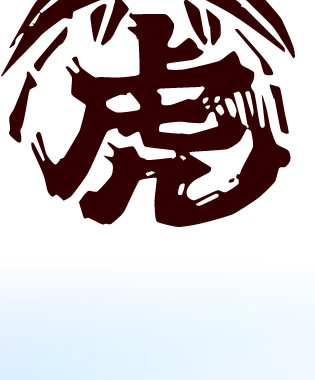 I dared not use tiger bamboo. Two shoulder straps are attached to the bag. 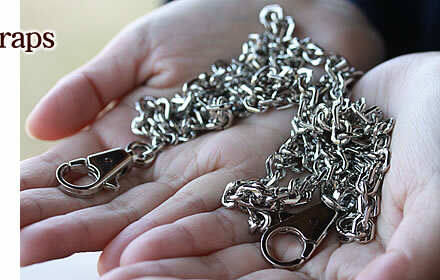 One is a metal chain. Another one is a genuine leather belt. It can also adjust the length. 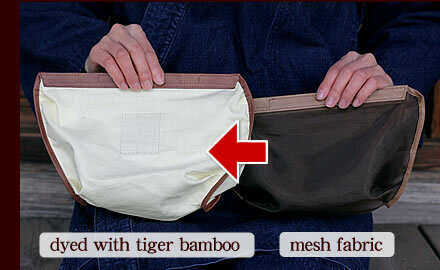 With an inner bag dyed with tiger bamboo. It can be easily removed with magnets. An inner bag dyed with tiger bamboo is beautiful yellow. The prototype uses a mesh fabric. 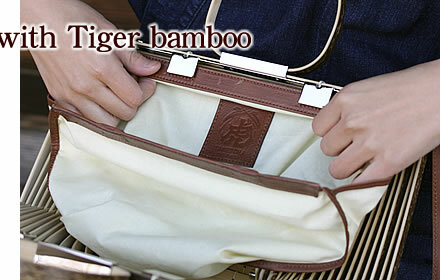 But sticking to Tiger bamboo, The inner bag was dyed with bamboo. Also dyed the shop bag with Tiger bamboo. 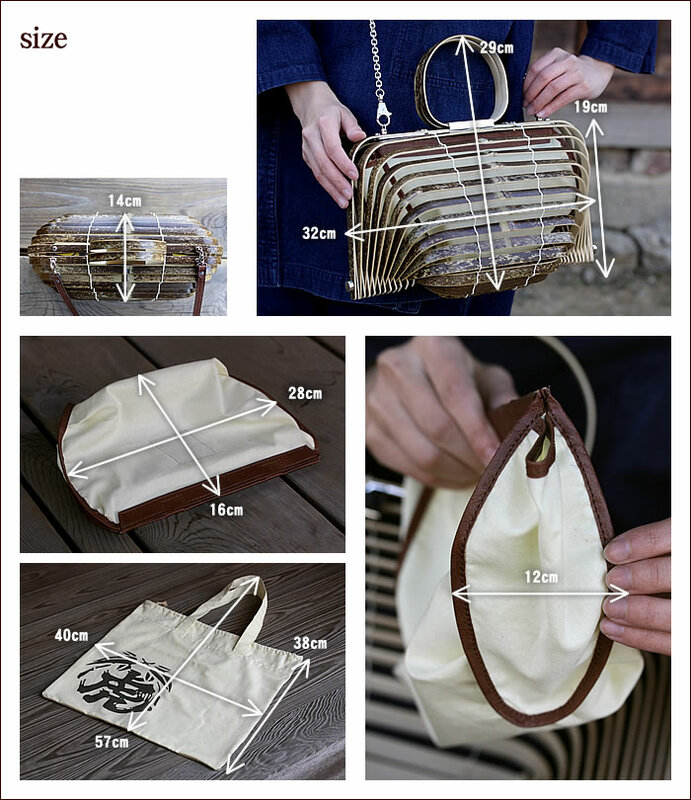 It can also be used as an eco bag. Special shop bag with logo of TAKETORA! 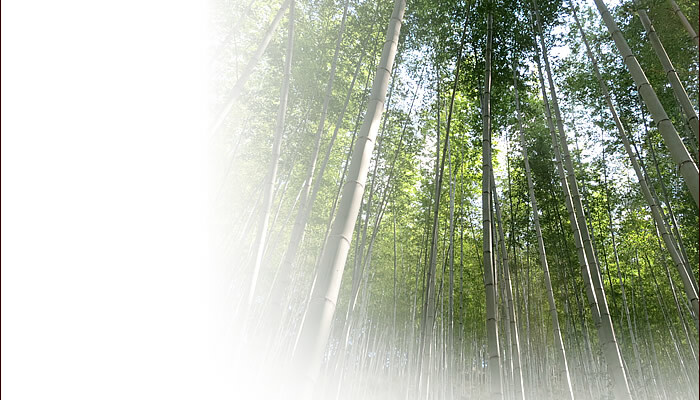 Our mission is to save Japanese bamboo tradition and hand it down to the next generation.People in Japan has been using bamboos for making tools for everyday life, religious rituals and many other different purposes. Nowadays, many cheap bamboo goods are imported and prevail.That makes why we intend to focus on domestically harvested bamboos.Our workmen cut and harvest bamboos in our local mountains with their own hands not using machinery. From the 20th century, we have believed strongly that bamboos are useful and necessary for sustainable society and economy.Bamboos are one of the fastest-growing plants in the world.They mature 20 meter wide only in three months.Reusable as materials for products in three years, they are for ecology,In order to save our tradition and culture, we make use of technology.Our business strategy is now based on promoting and selling bamboo goods through the internet.We will never stop trying to save and expand Japanese bamboo culture.